Linear encoders provide direct position feedback to various machine tool and automation systems. Working in a linear format allows extreme length position measurement and control—critical for machine tool accuracy and production of precision large-scale parts. The encoders encode a position to let a tool know, e.g. the laser beam of a printer, where exactly to work. But how does such a linear optical encoder work? 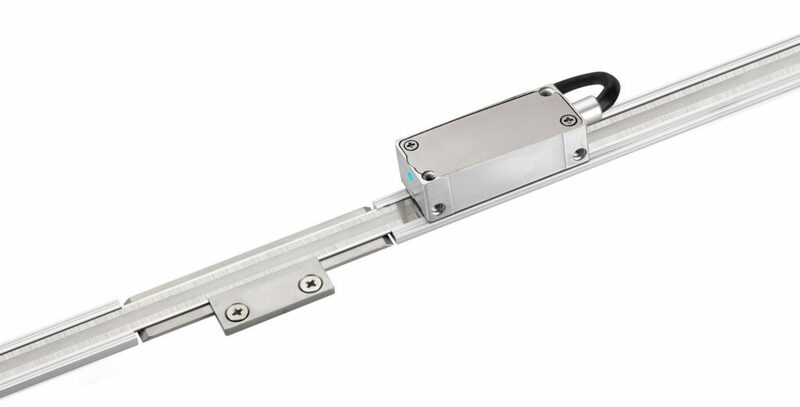 The moving readhead of an optical linear encoder always works together with a stationary scale which it moves along. It sends out an LED beam onto the scale where periodic marks reflect the light back to a sensor in the encoder. Before hitting the scale, the light is diffracted by a grating into periodic stripes, just like the marks, thus defining the exact position/direction, into which the encoder is moving. Laser4Surf now aims to enhance the reading process. This is done tuning the reflection properties on the scale. By inducing submicron relief structures onto the scale, the reflected light is polarised, leading to less distracting background light. Additionally, this new approach allows for greater tolerance distances between readhead and the grating, thus making the encoder more robust to misalignments.